Sometimes it’s really difficult to find the time to be creative even when that’s your job! Having two kids, unexpected DIY projects as well a million other small mundane tasks that push the creative side down the list of priorities. Once you fall out of the rhythm of making and posting online it gets really tough to get back into it. I was starting to feel under pressure to post daily on social media but didn’t have anything new to share. Some days I knew I could be creating but I was tired and lacking inspiration. Sometimes it seemed that what I want to make isn’t trendy……..The comparison trap is easy to fall into! I mentioned this a few times to creative pals in real life with everyone saying they felt the exact same thing! This is just nuts! So I decided to do some creative re-evaluation, asking myself a few super basic questions. Which are almost too simple but writing them down was really useful and thought I’d share them in case you might find them useful. – what is making me stressed? – what do I need to change? All the answers came back to the same truth… Do what you want! It turns out I haven’t lost the creative bug love but I do need to follow my own path . 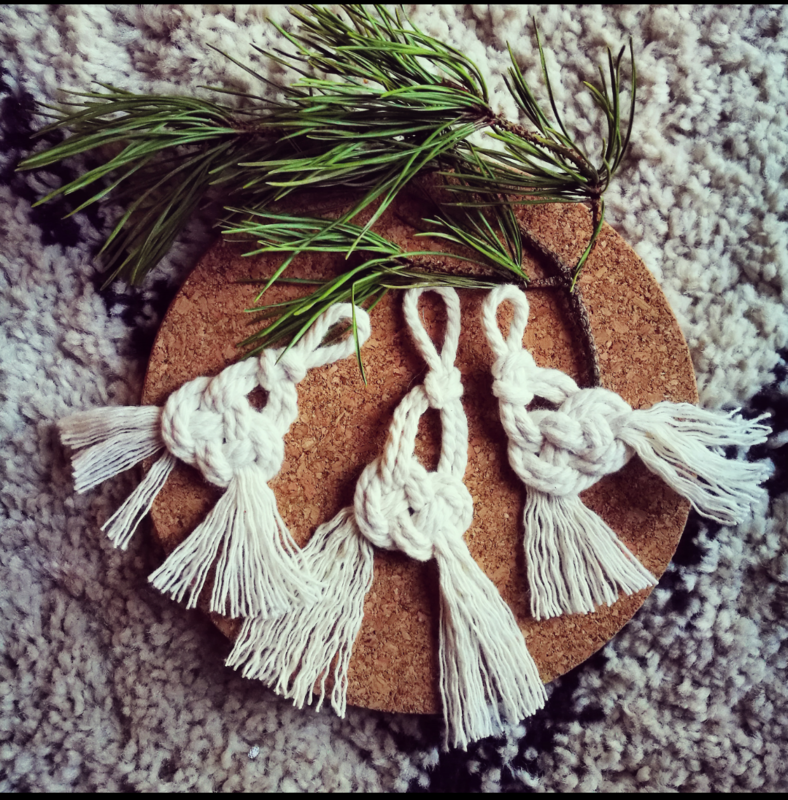 Macramé (like everything else) comes in waves and trends; sometimes it’s certain knots, or fringes, or swags or tassels that are THE thing that month. Its so hard not to get caught up in that but I want my work to be reflective of me not fashion. From now on I’m going to be working at a slower pace, doing limited collections exploring different techniques, and hopefully carving out my own niche. I’m also sure I’m not alone in feeling under pressure to share new work on social media every day. Worrying if I have the right hashtags, the right filters blah blah blah! I do need and enjoy Instagram; connecting with customers and the wider community but I’m not going to get wound up about whether every post is totally on brand. Me and my life and my craft are all bound up together and that taking a more holistic approach is much less stressful! I still love teaching workshops, but will be shaking things up a bit with some exciting collaborations in the near future! I’ve also branched out into some community projects using craft as a life tool which has been very rewarding too. Having a quick analysis of my life and creative process has been super easy and has lifted a big weight from my shoulders! Let me know if you try it out or if you have any tips and pointers for streamlining your life and business!